Now at home in sunny Denver, CO after attending SOLIDWORKS World in sunny Phoenix, AZ held February 8-12, 2015, I reflect on the week. There were cookies, coffee, countless training and educational sessions, cute 2-wheeled jumping robots to drive, a mini 4-rotor helicopter to fly, methods for controlling a 3D model with just your hand in front of a 3D camera, and 1 very funny theoretical physicist. 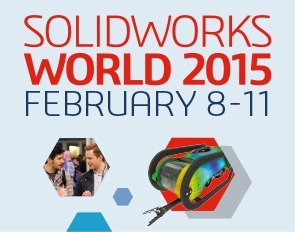 But coursing through every day in SOLIDWORKS World was a pulse focused on Model-Based Definition (MBD), and the newly released MBD Module from SOLIDWORKS.